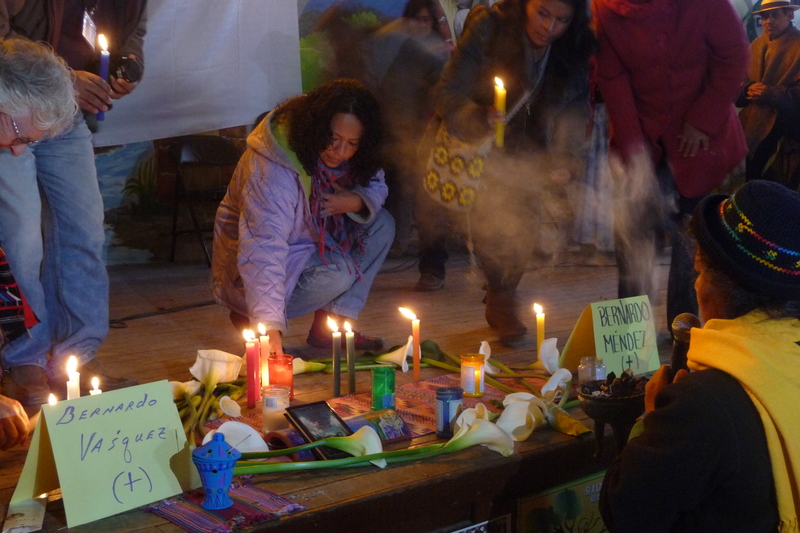 One year on, justice for Mexican anti-mining activist Bernardo Vásquez Sánchez, who was shot by assailants on 15 March 2012, remains an unfulfilled wish for family and friends. Bernardo Vásquez Sánchez was one of many from his community in the southern Mexican town of San José del Progreso, Oaxaca who opposed the local Cuzcatlán mine, operated by a subsidiary of Canadian-based Fortuna Silver Mines. On 15 March 2012, Bernardo was travelling in a car with two members of his family, when gunmen opened fire on their vehicle. All three sustained serious gunshot wounds, but Bernardo’s injuries proved fatal. The gunmen who killed Bernardo reportedly have links to both the Cuzcatlán mining company and the municipal authorities, who initially granted mining concessions to the company. So far, little has been done to bring the perpetrators to justice or to ease tensions within the small town. As Bernardo’s family can testify, justice delayed is indeed justice denied. The 15 March 2013 marks a year since gunmen linked to [Municipal President] Alberto Mauro Sánchez Muñoz and the Cuzcatlán Mining Company Ltd. took the life of Bernardo Vásquez Sánchez, a defender of territories in the communal lands of San José del Progreso, Oaxaca. Bernardo Vásquez Sánchez began the defence of communal lands in San José del Progreso in 2006, when the Cuzcatlán mining company, subsidiary of Fortuna Silver Mines, set up in their territory to mine gold and silver, without the free and informed prior consent of the General Assembly. For his legitimate struggle against the mining project, Bernardo was killed on 15 March 2012. The presence of Fortuna Silver Mines and its relationship with local authorities in San José del Progreso has seriously impacted on the daily lives of its residents, resulted in the breakdown of the social fabric of community life and has been responsible for killings, injuries and the increasing systematic violation of human rights. Various state organisations and national and international defenders of human rights have been alerted of the problems that exist in San José del Progreso. As part of the anniversary of the assassination of Bernardo Vásquez Sánchez, the Coalition of United Peoples of the Ocotlán Valley has announced a series of actions, including the symbolic taking of the mining facilities of the Cuzcatlán mine in San José del Progreso on the 15 March at 8:00am. 1. While state and federal authorities continue to grant concessions to mining companies, which robs people of their territories, human rights violations are increasing. It is unfortunate that despite these human rights violations mining executives like Alberto Bailleres, president of the mining company Peñoles, and Germán Larrea, of Grupo México, become increasingly wealthy. 2. We alert state and human rights authorities to ensure the physical integrity of persons in the Coalition of United Peoples of the Ocotlán Valley, who will participat in the symbolic taking of the mine as well as the human rights observers, due to the climate of tension that exists in San José del Progreso. 3. We urge the federal government to cease granting mining concessions that result in dispossession of indigenous lands and communities and the increase in human rights violations. 4. We demand punishment of the perpetrators and masterminds of the killings of Bernardo Vásquez Sánchez and Bernardo Méndez Vásquez, defenders of the land.